Five Bands. Five Stories. Five Years. 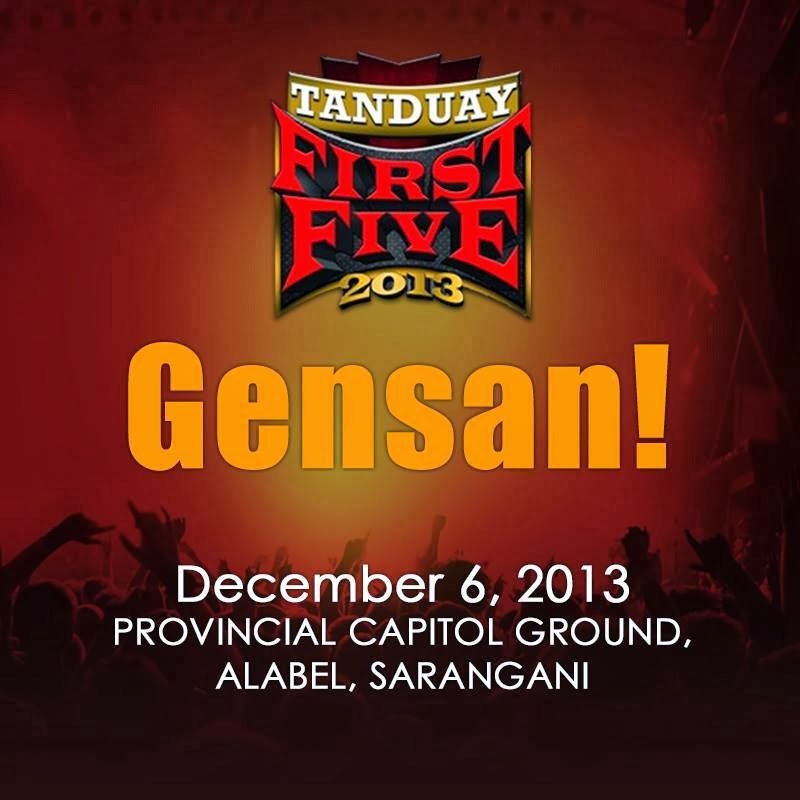 The Tanduay First Five 2013 will be rockin' the SarGen (Sarangani Province and General Santos) on December 06, 2013, Friday, at the Provincial Ground Capitol, Alabel, Sarangani. This will definitely set to be the most great night to all generals. Tanduay Distillers, Inc. is indeed the brand that tosses the greatest and best rock tours in the Philippines! 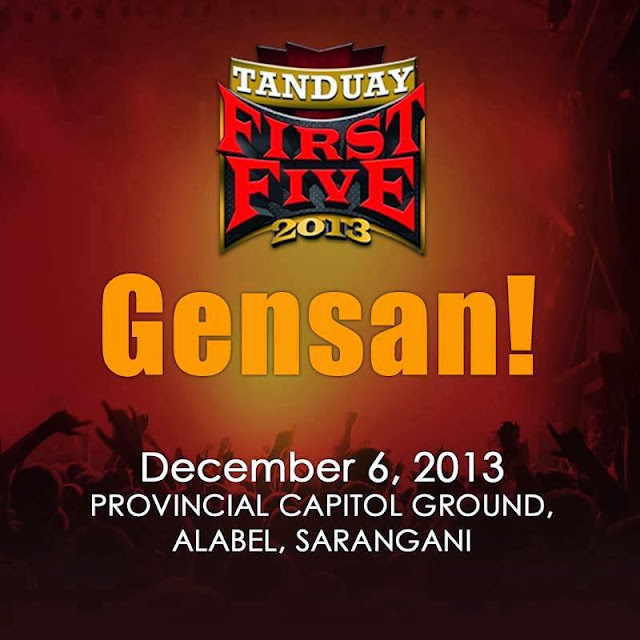 Having said that, Tanduay unites the most amazing line-up of band groups ever collected in Philippine music history. Are you ready for Kamikazee, Parokya ni Edgar, Wolfgang, Sponge Cola and Rico Blanco with the special participation of Gloc-9. To score your ticket, all you have to do is to buy 1 bottle Tanduay 5 years 750ml and 1 bottle Tanduay light 750ml get. Every exchanged bottle is equivalent to 1 general admission ticket.